Security Hurricane Harvey plummeted Houston with wind and rain, for days the water kept rising, Streets covered in water, homes destroyed, people fighting for their lives. During Hurricane Harvey As people were rescued to safer grounds, their belongings left behind, all they focused on was saving themselves and their loved ones. The shelters and businesses offering a safe space filled up as more and more homes and apartments experienced dangerous levels of rising water. It seemed the storm would never end, as the meteorologists predicted it would last all week. But after a few days, as the storm settled and the water receded the devastation and destruction were evident. The debris on the streets, the dangerous wires hanging from traffic lights, and the evidence of battered homes all around. Now as the demolition and rebuilding begin, there is a lot to be done. Temporary shelter needs to be found, insurance claims processed, basic necessitates taken care of. Those affected by the storm cannot do this alone, As they grapple with their feelings and the trauma they just experienced they need the help both physically and emotionally. It has been heartwarming to watch the outpouring of love and support from communities nationwide. So many have jumped into action, donating money and goods and helping in numerous ways. Unfortunately, not everyone is looking to help. The harsh reality is that there has been looting and robberies happening in Houston following Hurricane Harvey. Those criminals committing these acts of crime take advantage of the vulnerable state our city is going through right now. Businesses have been looted and affected homes had their few surviving possessions stolen. This is not something a hurricane victim should need to go through. To remove some of the stress surrounding recovering from a natural disaster. It is important at this time to have a security system set up to protect your property while you are not there. While you are living in temporary housing, whether it’s a hotel or rental, your home is empty and very likely so is your neighbors. Thieves are scouting these neighborhoods where they know everyone abandoned their homes for safety. Don’t let me them take advantage of you during this vulnerable time. You can outsmart them by setting up a security surveillance system that alerts you anytime there’s activity on your property. Just seeing the cameras can stop a thief from considering your home as a target. And as construction begins on your property, you want to make sure to keep your home and possessions safe as well. 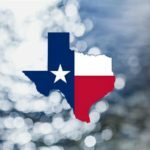 This is also applicable for businesses in Houston located in Harvey affected areas. Install a clear and visible security system and criminals will know to stay away from your property. There is enough to deal with in this difficult aftermath of the record breaking storm. Feeling vulnerable and violated by burglary and theft should not be on your to do list. 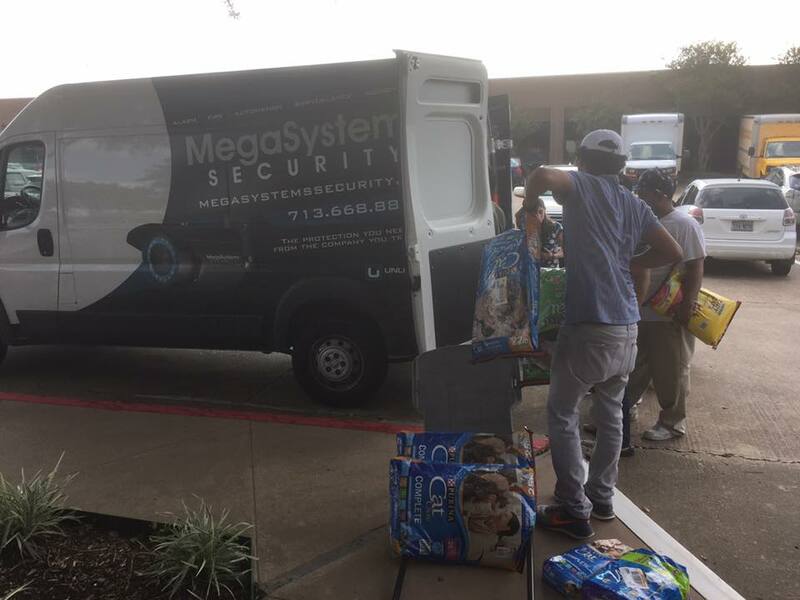 Megasystems Security helping The Houston Diaper Bank and delivering animal food to a local pet shelter. Like many others, we are showing our support in this difficult time.